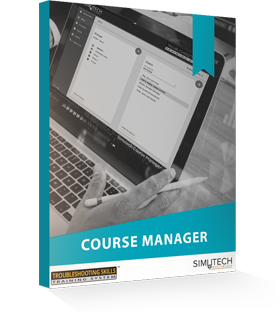 As a global leader in simulation-based training for the manufacturing and electrical troubleshooting industry, Simutech Multimedia makes training and assessment straightforward, innovative and convenient. As employees, we encourage each other to grow and innovate. As a company, we roll up our sleeves to Pay it Forward in the communities we serve. In 1990 Warren Rhude saw a major gap in the training market. While working at Ontario Hydro on the design and development of training materials for technical tradespersons, Warren realized that one skill above all was key to safe and effective training, and that skill is troubleshooting. What is so special about troubleshooting? All maintenance personnel requires this skill. It is high criticality, mistakes working on live equipment could be fatal. It is not a skill that is easily learned. People entering the apprenticeship rarely had this skill, no matter if they were hired through a college, or from another trade. Traditional instructor-led training has its limitations. Knowledge retention is a problem as people forget concepts they don’t practice over time. Training is also limited to the knowledge of the trainer; troubleshoot basic faults does occur in a classroom, however new, advanced, repetitive skills development would be costly, unscalable, and not trackable. 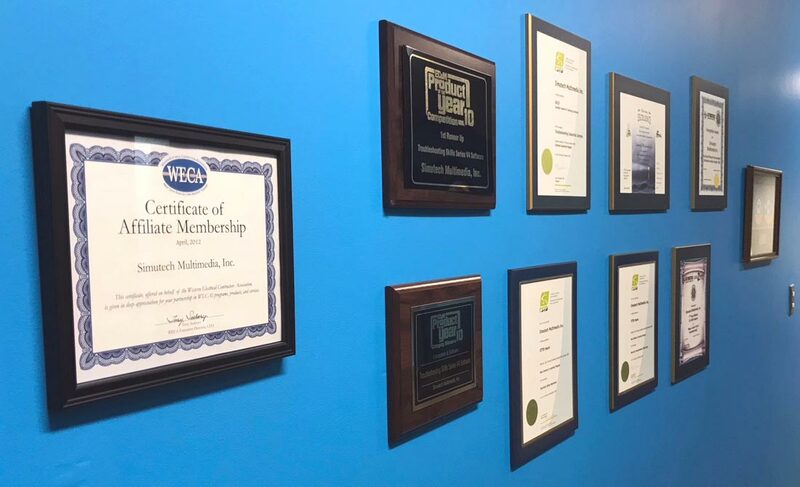 This prompted Warren to launch Simutech Multimedia in 1995 with the mission to help people learn the skill of troubleshooting so they can be effective at work and close that skill gap. The first module, Troubleshooting Motor Circuits, was released in 1998 and won a first place award in its category. Today over 400 companies use our system, Simutech is proud to have served Tom Mukulski of Honolulu Community College as our first customer, followed by Ontario Hydro, New Brunswick Community College, Toyota Motor Manufacturing, all of which are still using the system to this day! Pilots practice in a simulator to hone their troubleshooting skills and learn to solve unexpected problems in a safe environment. Electrical maintenance professionals are no different; plant reliability means being able to recover faulty equipment fast, it also means being able to anticipate problems before they happen, and it means making sure it is all done safely. That skill requires years of experience and with new skilled staff harder to find and train, a simulation-based approach is the only sure way to get new staff up to speed and learning is permanent. Since our initial launch, five more modules have released using input from experts around the world (Yes the product works for North American and European systems) and in English, Spanish and Arabic. We have refined and improved the troubleshooting process taught in this system. We have added over 250+ faults (simulations) and keep adding. This has earned us additional awards by both the training industry and the maintenance industry. We are always looking for talented people. Join us. 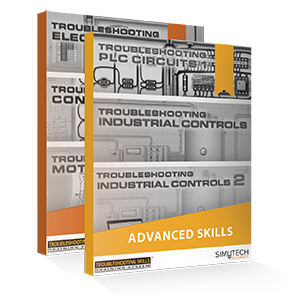 Today Simutech is a global leader in simulation-based training for the manufacturing and electrical troubleshooting industry. Our dedicated and skilled team is thankful to the many corporate customers we service, the schools we help and the many individuals who use our product on a daily basis. As a token of our appreciation, we put in place a program to pay it forward and help the communities we serve. We are on a mission to keep electrical workers safe; we are always looking for talented people, join our mission!